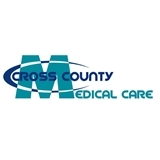 CROSS COUNTY MEDICAL CARE (Elmont) - Book Appointment Online! Cross County Medical Care is a state of the art medical facility located within Bellerose, NY and serving all five boroughs and the Long Island area. With on-site testing, our Board Certified Physicians offer integrated medical care that will address all your health care needs. Our office uses electronic health records, with the convenience of online scheduling and electronic prescribing to your pharmacy. We are accepting new patients Marie A. Belotte MD is a Board Certified Internal Medicine Physician. With more than 15 years of practice, Dr. Belotte has been providing excellent quality medical care. Our Family Medicine Department provides continuing and comprehensive pediatric and adult health care, including most preventive, diagnostic and therapeutic services for a wide array of acute and chronic problems. As family physician, we are dedicated to treating the whole person and the entire family. Dr Sonia Jamil is our Board Certified Family Physician Our staff speaks Spanish, Hindi, Urdu, Bengali, French, and Haitian Creole.